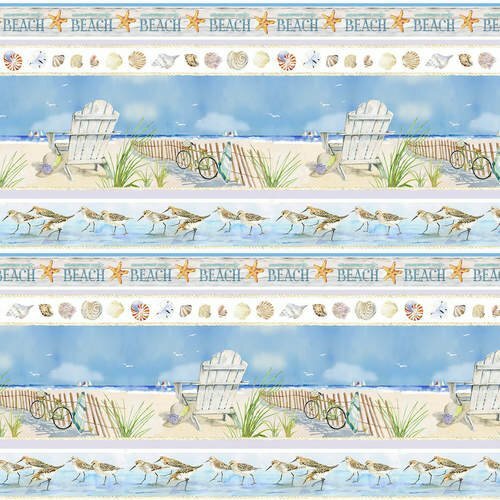 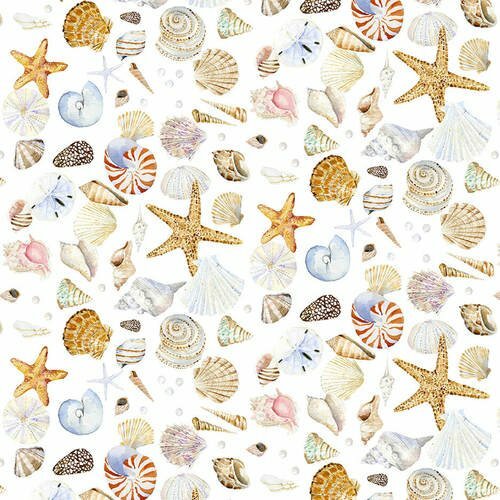 Coastal Paradise fabrics by Barb Tourtillotte for Henry Glass Fabrics. 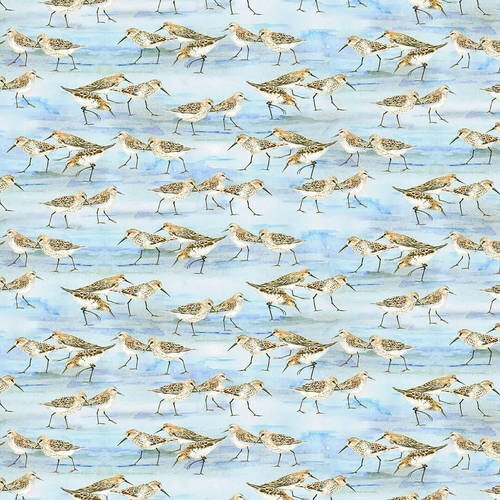 100% cotton, 42-44" wide. 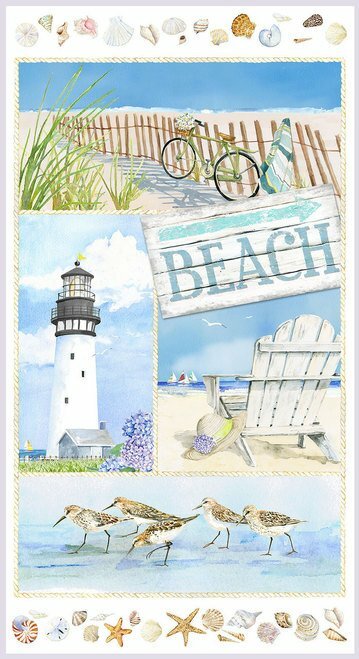 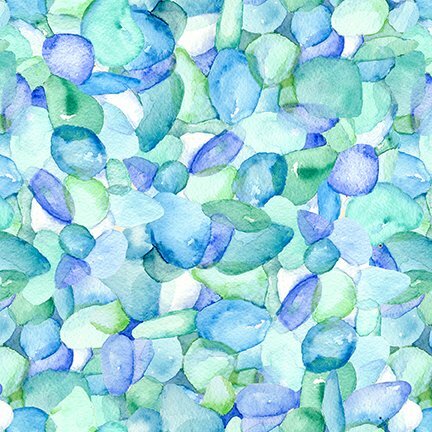 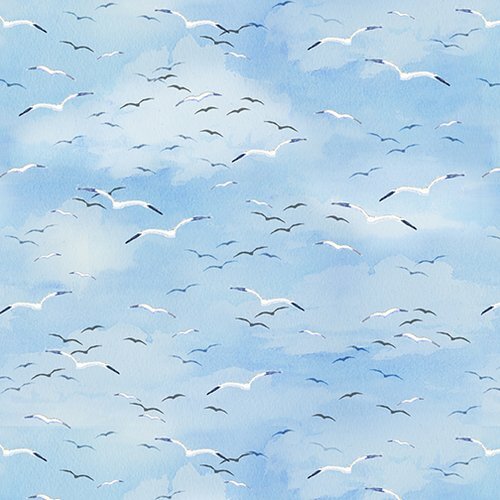 Themes of lighthouse, nautical, ocean, sandpiper, sea bird, seaside, sea glass.